Non-coiled springs have been used since time immemorial. The use of non-coiled spring on the bow and arrow is one of the earliest application for the spring technology. In the 1300s, this kind of spring was used in chariots while the first leaf spring used on a vehicle came around only in the 18th century. Leonardo da Vinci somewhat revolutionized the gun when he used the spring into making a pistol in 1493. The first coiled spring, on the other hand, was invented by R. Tradwell in 1763. 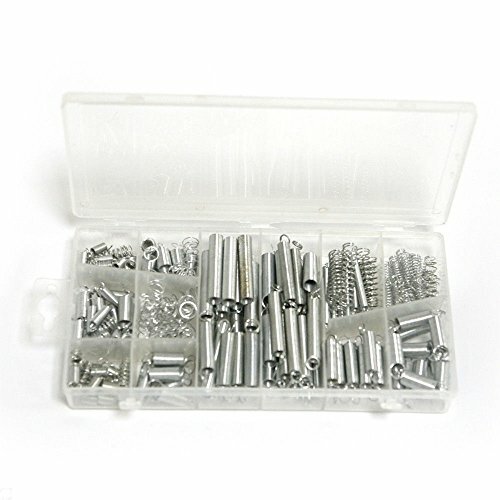 These are cone-shaped springs that usually have a hole in the center to accommodate non-permanent fasteners such as bolts. In fact, pre-tensioning a bolt is one of the most common uses for these washers. They can also be nested, making parallel springs, for several purposes. First, they can be nested to make for more spring deflection for a load of the same amount, and second, they can be nested to allow for higher loads that have the same deflection, depending on the orientation they use. Although Belleville springs can be somewhat unstable, they can still be used whenever you need a snap-acting mechanism. If you choose the right design, the springs can have constant force over a large deflection. With this type of design, bolt pre-tension is maintained when a dynamic load is present or in situations whereby thermal contraction or expansion is quite significant. Compression springs are used for compresses and for push applications whenever force is applied. They usually have either open ends, which means the end coils are open and are spaced consistently alongside the other coils in the spring, or they can have closed ends, which means the spring’s coils are closed and actually touching one another. Compression springs come in many different sizes and shapes, including those shaped like hourglasses, reduced-end springs, cone-shaped springs that are perfect for batteries, and barrel springs, among other types. These types of springs are there to store energy and/or resist force, depending on their application, and they are usually coiled at a constant diameter unless needed for certain purposes. Compression springs also squeeze together to make a load, and therefore they are often found inside devices such as jack-in-the-box toys, switches, and automotive suspensions, among others. Also known as clock springs, constant force springs are often found in clockworks and primarily exist to create a rotation force in order to release a constant amount of load, rather than a quick burst of power. In addition to clocks, constant force springs can be found in dozens of wind-up toys. Perfect for things that need to rotate many times while still maintaining a reasonable amount of force in order to apply and release, constant force springs are great to use when more power is required. They have thicker bands of steel and fewer rotations, and they are used in such heavy-duty applications such as automotive seat recliners. Die springs are push-application compression springs that are perfect for medium- to extra-heavy and high-stress load applications. Die springs are ideal for many different applications, and they are usually made using round wire. 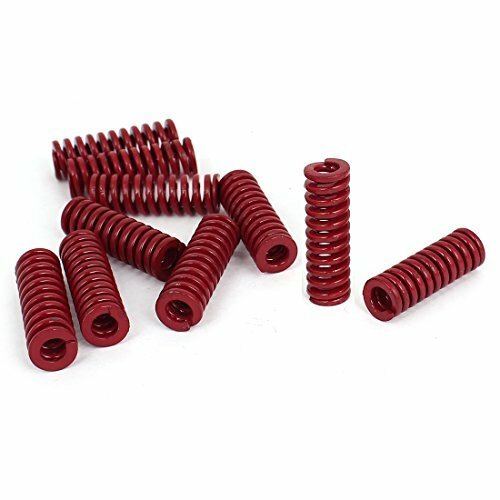 Used quite often in die machinery, die springs are also appropriate for any application that involves shock-load or high-static stresses, and also whenever maximum cycle-life is considered crucial. You can recognize die springs because they are usually rectangular in size, and they usually come in four strength ranges: medium duty, medium-heavy duty, heavy-duty, and extra heavy-duty. 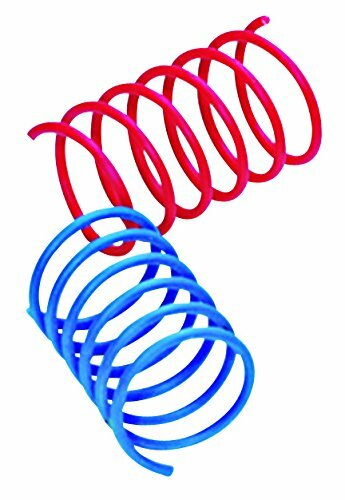 These high-quality springs have a very long spring life and great consistency, and they are perfect for a variety of applications. This includes various automotive, electrical, aircraft, and appliance applications, which is perhaps why so many companies now manufacture these types of springs. 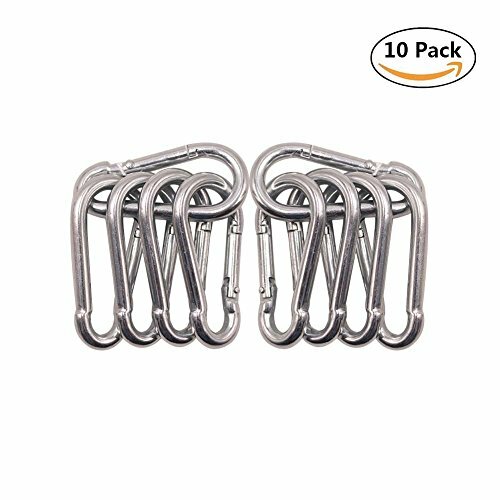 Extension springs are made to create loads by stretching apart, and they often have small loops on the ends so they can be attached to things. If you look closely at the hinges on your garage door or your screen door or even bouncy decorations which you can hang from the ceiling, you can see a perfect example of an extension spring. Even the Slinky™ toy is a great example of an extension spring, although it is a weak one. Extension springs come in many sizes and types, and many companies will even custom-design an extension spring for you if you need them to. W.B. Jones is one of many companies that offer extension springs, and their selection can be viewed by visiting their website at https://www.springsfast.com/extension-springs.php. If you have an application that requires low pressure and low spring rates, these are the springs you want to use. They are a type of compression spring, and they are good for applications which require a low-diameter, high-purity product. When your diameters are too small to provide an appropriate pressure level or cannot satisfy assembly requirements, choosing these light-pressure springs can be the perfect solution. They are also corrosion-resistant, offer higher levels of product purity, and enhance cleanliness through ultrasonic cleaning and passivation. Mini springs have a wire diameter that is roughly the same width as a strand of human hair, making them very small and thin indeed. Made from a type of alloy that is high in strength, non-magnetic, and corrosion-resistant, mini springs are perfect for use in various environments and can perform well in temperatures of up to 454 degrees Celsius, or approximately 850 degrees Fahrenheit. As its name implies, these are not handmade springs but rather springs found naturally in nature. They are helical in shape and perfect for displaying grapes, strangling tomatoes, and supporting cucumbers, to name a few. These springs can be found in branches and small sticks, the stems of certain plants and flowers, and even in certain leaves. They are here because of Mother Nature, and they serve many purposes because most of them are very strong. Plastic springs are much lighter than metal springs and can perform the same functions as springs made of other materials, which is one of the many reasons why they are so popular in many applications. 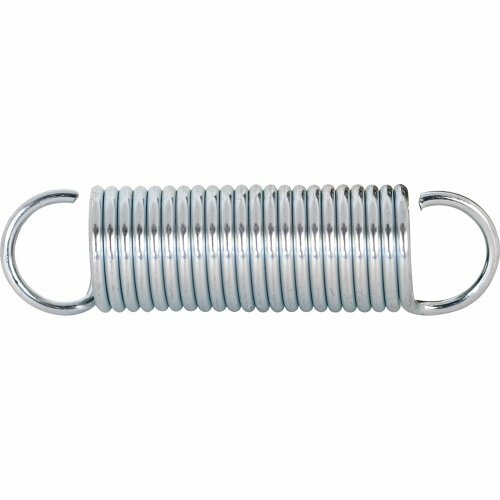 Another type of compression spring, wave springs are used in applications with limited space because they occupy only 30 to 50% of the compressed height of a traditional round-wire spring. 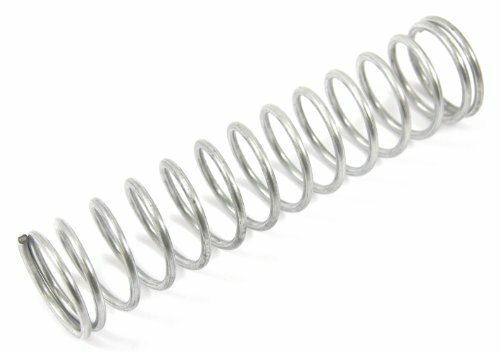 These springs can reduce the weight and size of the assembly by as much as 50%, and they are made by starting with a coiled flat wire to which waves are added to give it a spring effect. Wave springs are more beneficial than coil springs in certain applications because of the fact that they provide lower work heights while using the same force. This results not only in space savings but also in smaller assemblies that utilize fewer materials, which naturally results in lower production costs. They also provide loads and spring rates that are more accurate and low load tolerance in certain work heights. To create a load, torsion springs rotate around an axis, then release that load in an arc surrounding the axis. Rocker switches and mouse traps contain torsion springs, and they are perfect for any object that needs to rotate less than 360 degrees. 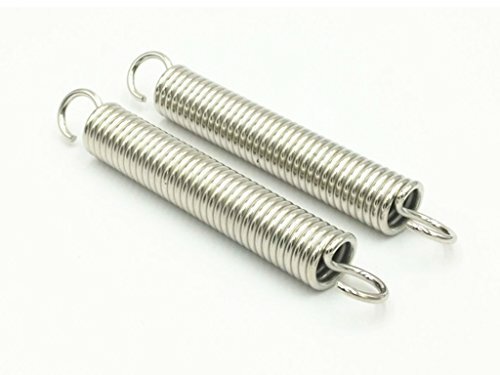 Examples of torsion springs can be viewed at websites such as the Lowes site, which can be found at https://www.lowes.com/search?searchTerm=torsion+spring. This type of alloy has a very high strength and is copper-based. When used to make springs, it is age-hardened first, and it can also be used for intricate and complex shapes and forms. Beryllium copper alloy is corrosion-resistant and very stable and has low creep and excellent conductivity. Also known as spring copper or copper beryllium, beryllium copper alloy can be used to make musical instruments, certain measurement devices, and bullets, among other things. Ceramic has been manufactured for use in coiled springs in environments with very high temperatures. Ceramic is also a great material for springs because it is abrasion-resistant, water-resistant, very hard, and lasts for a very long time. It is also an inexpensive material to work with, doesn’t stain, has a low coefficient of friction, and has low density. For these and many other reasons, ceramic is a great material to use when manufacturing springs. This material is currently being studied as a potential material for use in the manufacture of all types of springs. It is reinforced with fiber, making it extremely strong, and it is this strength that most attracts manufacturers of springs. Sometimes simply called phos bronze, this material has an alloy of a tin of up to 10% and up to 1% phosphorus content. During the melting process, the phosphorus is added because it is a deoxidizing agent. The tin makes the material more corrosion-resistant and stronger, and the phosphorus gives it great wear resistance and causes fewer problems with stiffness. The alloys used in this metal are known for their strength, fine grain, and overall toughness, and they are easy to cast and reduce the grain boundaries between crystallites. These materials are most often used for springs that are cylindrical and non-coil in design. 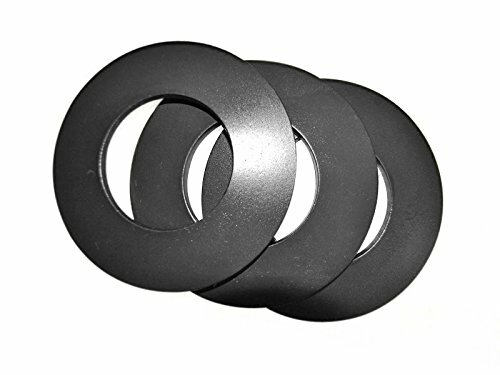 Used primarily in applications where magnetism, corrosion, and vibration are potential problems, using rubber or urethane to make springs can be a big asset. Springs made of these materials are very safe, reliable, and efficient when it comes to stamping, drawing, or punching. The springs come in many different lengths, and most of the companies that make this product can custom-cut your spring in order to make it the exact length you need. This is the most common and most popular material used to make various springs. Types of steel alloy include low-carbon oil-tempered, high-carbon, which is used for things such as guitar strings, chrome vanadium, stainless steel, and chrome silicon. More often than not, the term “steel alloy” refers to a low-alloy steel, and this type of steel consists of regular steel enhanced with other materials to give it more strength and durability. When titanium is produced, the rutile is mixed with tar or coke and then heat and chlorine gas are applied to create a material called titanium tetrachloride, or TiCl4. Next, the material is converted into a chemical process that results in a sponge-like product, after which it is melted into ingot form. In addition to springs, titanium can be used in products such as industrial, aerospace, sporting, medical, and marine products, as well as in certain consumer goods. Advantages of using titanium for springs and other products include the fact that it is non-magnetic, it is able to hold its strength even at high temperatures, and it has a high strength-to-weight ratio. It is also resistant to corrosion and has a melting point that is relatively high. Belleville washers can be used in four primary ways: single, which means just one washer, parallel, meaning that all washers are stacked in the same way, series, which indicates that all washers are stacked opposite of one another, and series-parallel, which is a combination of these two aspects. 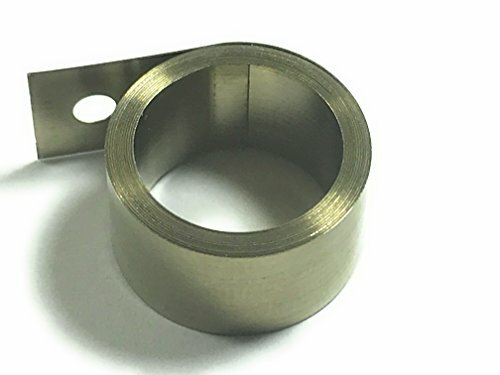 Applications, whereby you need to connect soft, bare aluminum to either copper or aluminum or where conditions of high current loading or cycling are present, are the perfect reasons too behind the need for Belleville washers. Whatever your application, you need to select the right size and design for the conditions and fasteners, and these types of washers are perfect for accommodating thermal cycling, although expert workmanship is required for the best results. Compression springs have dozens of uses, including use in toys, mattresses, electronics, medical devices, pens, notebooks, drilling and mining equipment, precision tools and instruments, and industrial equipment, among others. The springs are also used in a variety of industries, including construction, petrochemical, manufacturing, materials handling, transportation, agricultural, and aeronautical, to name a few. In fact, some of the most common products that you use every day contain some type of compression spring, which is why they come in so many shapes and sizes. Often, the companies that sell them can even custom-design a particular shape or size just for your needs, which makes them a truly invaluable product. Unlike many other types of springs, constant force springs are not formed from wire but from pre-tensioned metal strips instead. They are used in U-Haul doors, seatbelts, interior blinds, retractable key holders, cord reels in vacuum cleaners, point-of-purchase displays, dental x-ray equipment, various medical devices, MRI machines, retractable dog leashes, and window balance systems, to name a few. They provide a specific advantage in each of these products that many consumers take for granted, but which are important to the overall design and functionality of the product itself. Because of their ability to handle heavy-duty compression applications, die springs can be used in any heavy-load and heavy-stress application, including aircraft mechanisms, brakes, clutches, and farm machinery. In order to choose the right die spring, certain characteristics must be taken into consideration, including the approximate size that you need, as well as pressure and travel requirements. Any manufacturing company that carries die springs can help you determine which product you need, and because they are experts at providing both the assistance you need and high-quality products, they will guarantee that you get the right products in the end. Extension springs are used in hundreds of products, including in automotive parts like carburetors and many other places on the inside and outside of a vehicle, vise-grip pliers, which are used to keep the grip tight, washing devices, in which it helps keep the washing machine tub balanced, garage doors, where the springs help get the door up and down more easily, trampolines, where these springs give the product its bounce, medical devices, including surgical lights, stretchers, and some handheld devices, toys, including those with throwing or shooting action, and even farm machinery, where their use is similar to their use in vehicles. There are hundreds of applications and potential applications for Lite Pressure™ springs, including fluid power applications such as check valves, relief valves, and pistons, as well as miscellaneous applications that include contacts, displays, motor brushes, syringes, dispensers, toys, and much more. They can be used in a variety of medical and pharmaceutical applications, including wheelchairs and surgical tools, as well as in other applications that require moderately elevated temperatures, top-notch corrosion resistance, and better-than-average cleanliness. Small springs usually include compression, torsion, and extension springs, and some of their many uses include appliances, medical equipment, electronic devices, and appliances, to name a few. Mini springs are usually made out of stainless steel, music wire, phosphor bronze, and spring brass. Best of all, the companies that make and sell small springs usually require no order minimum, and if you are unsure of which type or size of springs you need for your particular project, they will be more than happy to assist you so that you can get the right one in the end. Applications that don’t require a lot of stress are easy for plastic springs to accommodate, and because plastic springs have no magnetic ability, they will never interfere with products such as MRI machines and other diagnostic tools. In fact, many of plastic’s unusual characteristics are what makes this item so useful for use in products such as springs, and why plastic springs are found in more products than you might think. Some of the many uses and applications for wave springs include electrical conductors for the aerospace industry, which provide continuous connection, multi-tooth cutters, for which specially designed wave springs are manufactured, valves, which can regulate the flow, face seals, which can prevent excessive wear while continuously maintaining a proper seal, vibration isolators, in which precise load/deflection curves can be provided, clutch drives, flow valves, which help with proper fluid flow, pressure relief valves, which help maintain the perfect pressure, water valves, which makes rotation and resistance increases less likely, rotary unions, which prevent high-pressure fluid from overflowing, axial piston pumps, which provides a much higher preload to the tapered roller bearings, and floating gears, which help gears self-align with their mating gear during operation. A great example of a spring clip is the binder clip, which can be used in a number of applications. These include making sure a compartment door is completely closed, holding engine components in place, attaching an object to a keychain, and many industry-specific applications. Simple clips can do things like hold beepers or cell phone cases, while specialized spring clips can handle jobs such as holding massive numbers of wires in certain electrical systems. Products that contain torsion springs include ratchets, watches, clipboards, and clothespins, as well as more heavy-duty items such as tailgates, door hinges, ramps, garage doors, and various types of lids and hatches. Torsion springs do not expand and they operate rotationally, which is why they are best suited for applications that have to tolerate small spaces when you’re considering the product design. The springs also work best when a load is applied in the direction of the wind, and they usually won’t unwind from the free position.